Watch Free Wheelcity Car Cartoon For Kids Online Featuring The Haunted mansion On Halloween. 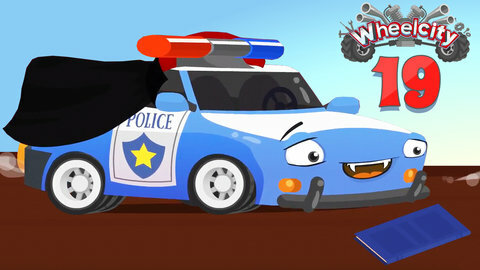 In this spooky episode of Wheelcity car cartoons for kids, Flash the police car and his friends dress up and attend a Halloween party on a haunted mansion. Watch them get scared because of the Halloween tricks of the haunted mansion. Once they realize that the haunted mansion isn’t really haunted, a real ghost appears and scares them. Keep on watching these fun free videos by going to SeeZisKids.com.